When the Wild West calls, we couldn’t think of a more raw and beautiful place to head then Montana. And from Glacier National Park in the North and Yellowstone National Park bordering the South, our hearts burst at the stunning scenery and natural backdrop of this state. In fact, we’d venture to say that every turn you make offers a panoramic view that is Instagram worthy! This year we’re returning to Grey Cliffs Ranch our own private ranch for the week set on 5,200 acres of ranch land. 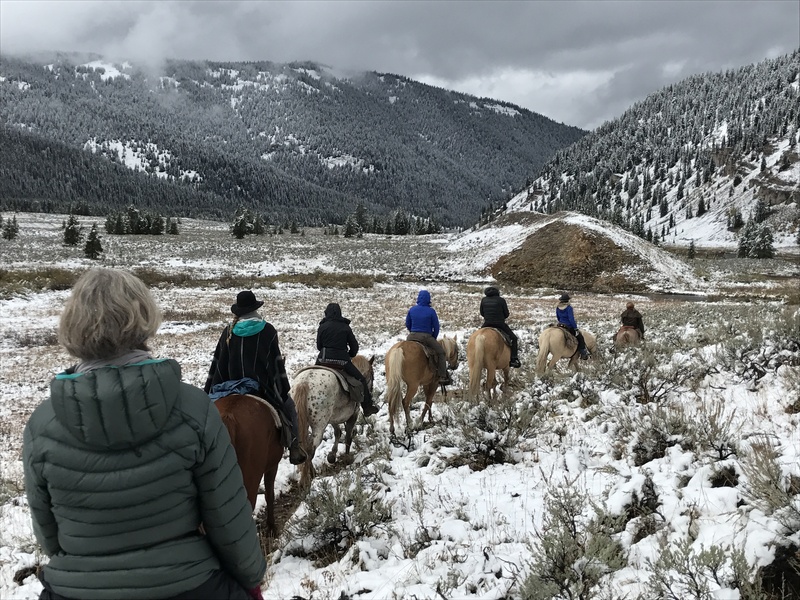 Located in stunning southwest Montana, Grey Cliffs Ranch is just outside of the lively college town of Bozeman. It’s proximity to town, being only 45 minutes, allows guests the convenience to a major airport (if you count a few gates as that), and take time to explore the historic main street district which is home to a variety of locally owned cafes, shops, outfitters, and galleries. The area’s focal feature is the incredible mountain views that surround the Gallatin Valley on all sides. Not that the Valley isn’t amazing in itself, as the rolling pastoral hills and crystal clear rivers seem to stretch on for miles and miles. Of course this was the famed filming site of the movie, A River Runs Through It, so of course these rivers attract fly fishing enthusiasts and adventure junkies from all over. And of course, we are just a mere hour from perhaps the nation’s most celebrated National Park, Yellowstone. With it’s roaming buffalo, magnificent geysers, and other natural wonder this is just a peek at what this beautiful landscape offers. Ready to learn more? The details of our upcoming Montana Yoga Retreat are available now.